A Los Angeles County sheriff’s sergeant might have a hard time topping this year’s gift to his former trainee and friend. A kidney taken from Sgt. 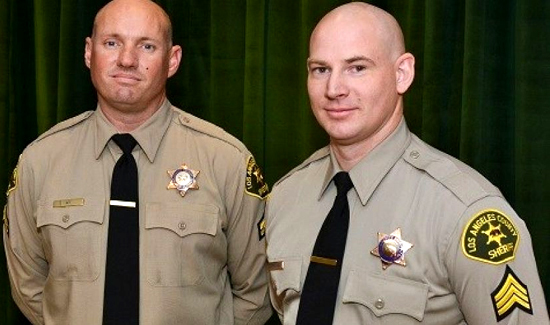 Darrin Offringa of the sheriff’s Carson Station was successfully implanted into Deputy Kevin Ay of the sheriff’s Lakewood Station on Nov. 29, Los Angeles County sheriff’s Deputy Lillian Peck said. Both men have recovered. In 2013, Ay was diagnosed with renal failure and was in need of a donor kidney. Offringa and Ay had built a teacher-student relationship that grew into a work partnership and then into a “solid friendship,” prompting the sergeant to help his friend. Offringa said his faith led him to donate his left kidney. As for Ay, he said his friend’s gift not only prolonged his life, but improved the quality of it. “I always considered Darrin as a mentor; now he’s my brother,” he said. The sergeant and deputy hope to return to the field in a few months.